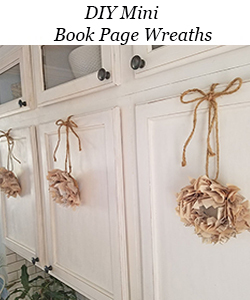 There is a home decor magazine that sometimes features a section with a high/low comparison of home items. I forget what magazine it is, but I’ve always loved that feature. A few weeks ago a saw this beautiful daybed shown above and fell in love with it. When I looked it up I got a little sticker shock! A few days later I saw a very similar daybed for half the price. 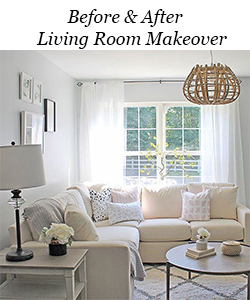 Which gave me the idea to do my own splurge vs save home decor post today! 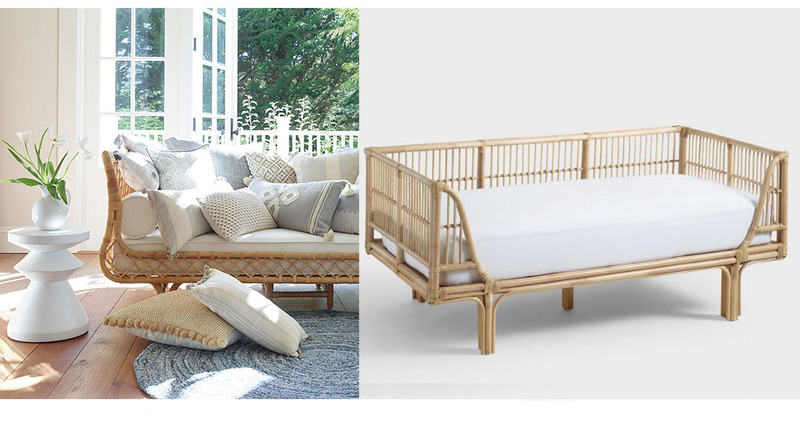 The daybed that sparked this blog post idea costs $1198, but the one on the right* only costs $549! The more expensive sideboard on the left is $629 vs the less expensive one (which I like better) on the right which sells for $229. These two chandeliers are slightly different in size but not by much. 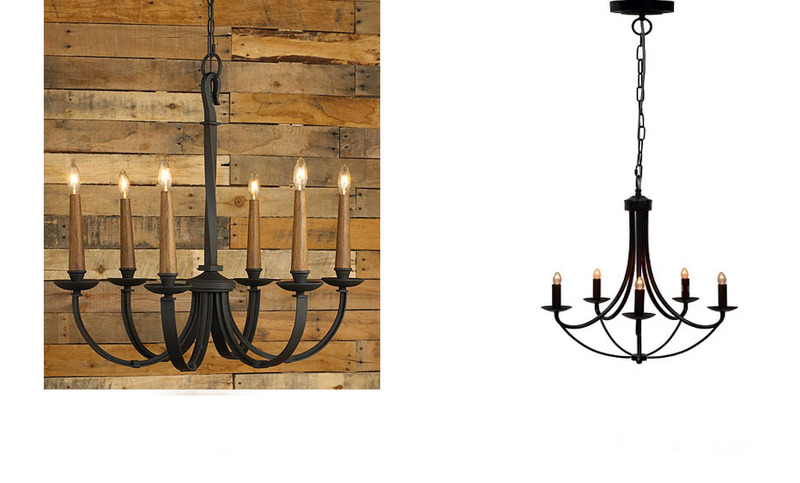 The more expensive chandelier on the left is priced at $629, and the less expensive on the right is only $59.99! 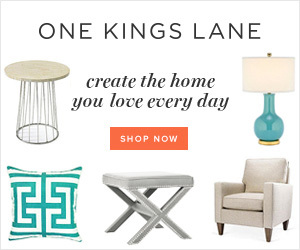 I noticed this ottoman right away while browsing online because I have a very similar one in my living room. 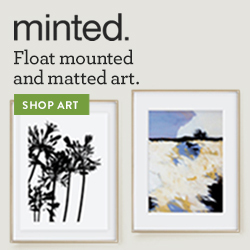 The one of the left sells for $825 (on sale), I bought my ottoman shown on the right for $230! The more expensive table on the left sells for $2399 vs the less expensive table on the right which sells for $899. 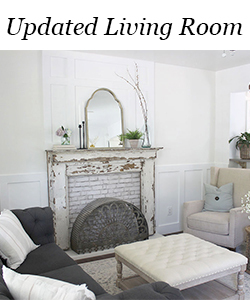 The braided wool rug on the left is $1495 (on clearance!) 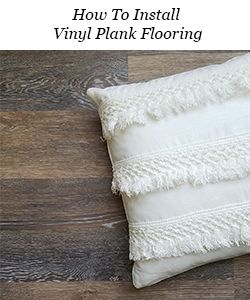 for an 8 X 10′ size, the wool rug on the right goes for $699.99 for the same size. Each of these beds is made from pine wood. The bed on the left is the more expensive option and sells for $1599 for a queen size, while the bed on the right sells for $749.99 for the same size. The metal and glass coffee tables (you get 2 nesting tables) on the left are priced at $675, but you can get the same look for only $190 with the coffee table on the right. 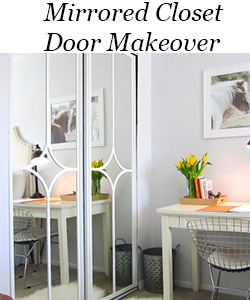 Just like I mentioned last week when I shared my bathroom vanity lighting last week it pays to shop around! This is great! 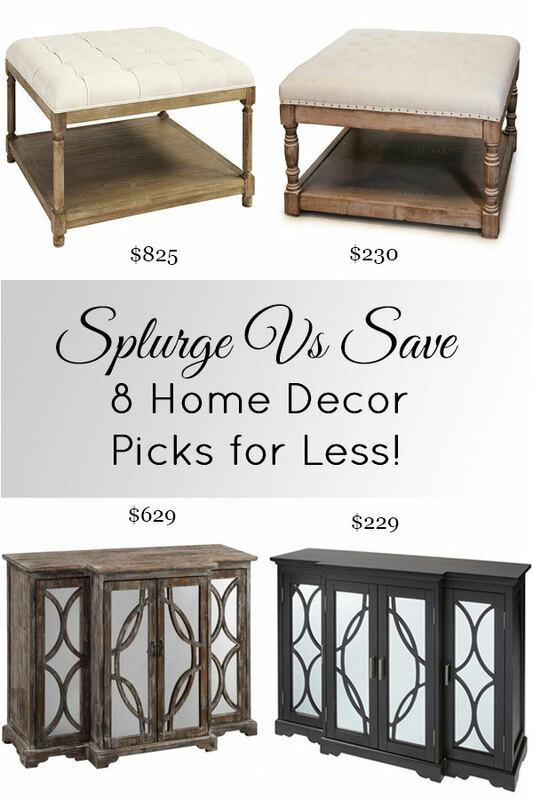 I really enjoyed The Splurge vs Save Home Decor newsletter! Hope you will do more. I think the magazine you’re talking about is HGTV magazine. I get it all the time, and that is a favorite feature of mine as well. Loved this. Hope you do more.